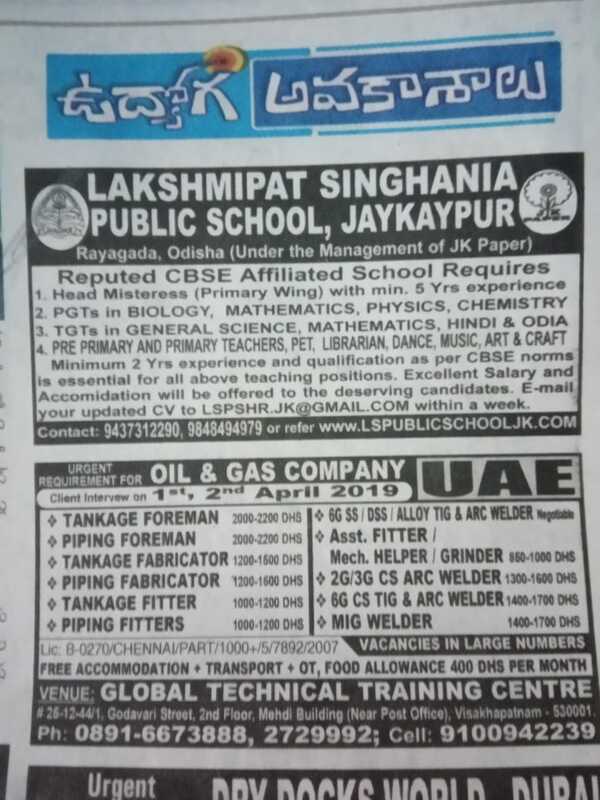 below for Lakshmipat Singhania Public School Jobs. They required 5 Years Experience for Head Misteress and Minimum 2 Years Experience for all Teaching Positions and they offered Free Accomidation to the deserving candidates. For these Jobs can apply from with in a week from the notification date. Further details can refer the official website www.LSPUBLICSCHOOLJK.COM for Lakshmipat Singhania Public School Recruitment. Available vacancy, Salary, Important dates, Selection Process, Application Procedure, Qualification are maintained below. 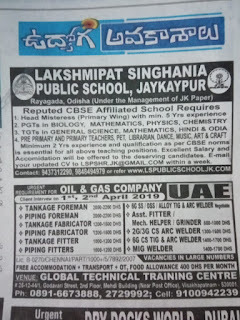 Last date to Apply for Lakshmipat Singhania Public School Jobs: with in a week.